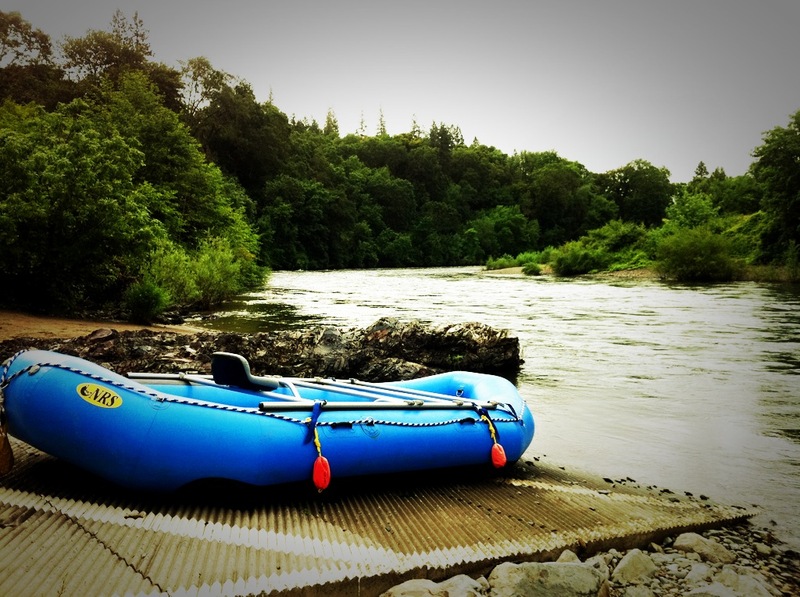 Our first river rafting trip was everything but boring. 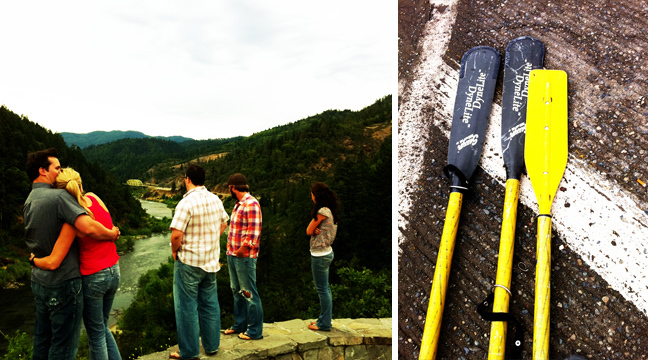 Because of high waters in Idaho, we decided to play it safe and switch our trip to a river in Southern Oregon. Of course, we took full advantage of being in Oregon and enjoyed some wine tasting while we where there, which I told you about last week but I couldn’t continue blogging without also telling you about our river experience! Because we had never been before we had no idea what to expect, but we were excited. 4 full days on the river, different camp sites every night, every meal on the river, and all in great company. The part of Rogue Riverthat we spent most of our time on, was miles away from society and could only be reached by foot or boat, no roads in and no cell service; we were in the wilderness. There is something mystifying about being secluded in nature. It’s trips like this that can turn a group of close friends into family. Our second day on the river, we woke up to the sounds of the rushing waters in the biggest rapid of the river, Rainey Falls, and we knew this could be an eventful morning. After a hearty breakfast of cinnamon french toast, thick sliced Bacon, and hot soy lattes (we ate really well on the trip! ), we loaded up the boats with all of our gear and set out to overtake Rainey Rapid. The guys on one boat and the girls on the other, we slowly headed toward the peak of the papid. After watching the guys pick a line and head down, we started in as well, then all of the sudden a big bump and we were all thrusted forward in the boat. We had gotten slightly off the run we were supposed to go down and had ended up teetering on a huge rock beneath us. Oh and I almost forgot to tell you- we’re at the very top of the biggest drop in the falls (one that rafts don’t even try to go down). We were completely stuck, without literal man power, and fearing for our lives. People started lining the beaches watching and filming us to see how we were going to get ourselves out of this interesting dilemma. The people eventually got bored or hungry and left as we tried every solution we knew to get ourselves out of this mess. Two hours later our knight in shining armor came daringly down in a inflatable kayak towards our boat to save the three damsels in distress. Risking his own life, and unsure if he would even be able to help, he was our only hope. He made it safely to our boat and after another hour, we were able to not only get ourselves off of the rock but also able to steer the boat away from the fall and through a rock bed all the way to the bottom of this fearful rapid. Sunglasses blocking our tears, we had survived. I hope you get a snapshot of our wild trip! Not only did we overcome great obstacles and bond lasting friendships, we also saw some of the most beautiful scenery that nature offers, spotted lots of wildlife including a bear and bald eagle, and I have to mention- we even ate like royalty! If you are looking to go white water rafting but would like to stay closer home, you might check out the Rafting Section of Utah.com. Also, here is a great list of freezable meals for a rafting or camping trip. Sounds like a fun trip, and hopefully that scary few hours stuck on the rapids is something you can now all laugh about. Thanks for reminding me of how much I want to go rafting! Yikes, I don't know if I'd be river rafting again after that scary experience. So glad the Lord sent someone who would help. I bet your husbands felt awful not being there for you. But I'm glad overall it was a wonderful experience for you. Thanks for the link love! Wow, that sounds like quite an adventure. I went white water rafting in the Ganges (India) and that was pretty intense, but definitely wasn't as scary! River Rafting in India?!!! That sounds like an adventure in itself.